"Feldkamp handles ALL projects with the customer in mind." 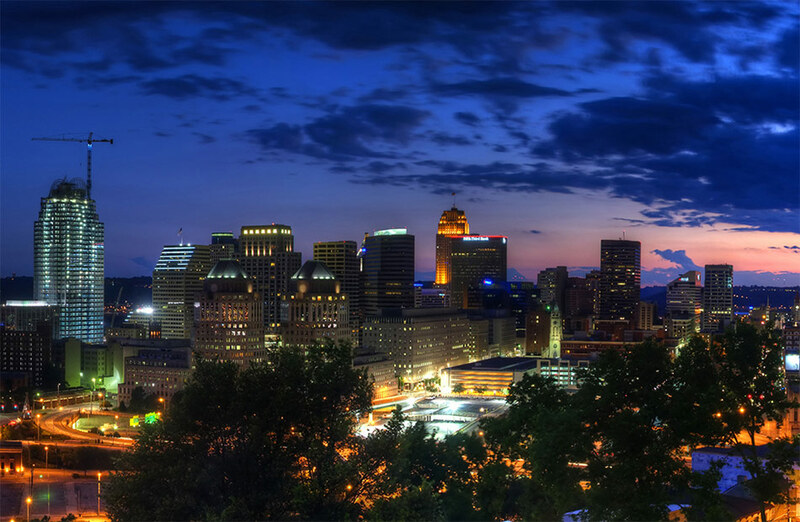 Feldkamp Enterprises, Inc. is located in Cincinnati, Ohio, where we have been established for 25+ years. Our company is made up of a team of professionals skilled in the fields of Commercial and Industrial HVAC, Maintenance, Plumbing, Retrofit and Installation, Pipe Fitting, Sheet Metal and Fabrication, Engineering and Project Management. 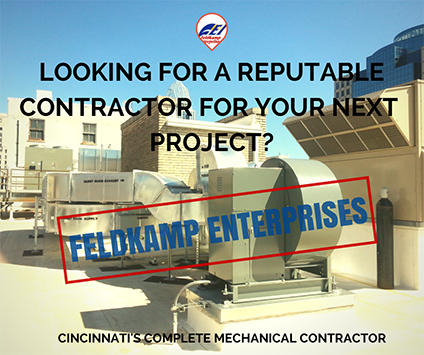 All of Feldkamp Enterprises, Inc.'s staff and technicians are expertly trained with one end goal in mind: to provide a superior product. This might sound like an extremely simple approach, but one must first understand Feldkamp's philosophy or definition of our "product"; it goes way beyond a properly installed, maintained or repaired HVAC system. Feldkamp's product starts with the sound foundation of experienced leadership and a solid vision. It encompasses technical expertise, accountability, constant focus and adaptability. This includes always doing the right thing and never cutting corners. It is our belief that our employees and our customers are the lifeblood of Feldkamp Enterprises, Inc. and through this belief we've been privileged with attracting and retaining the best of both. We will never ask a customer to give us their repeat business; we want the opportunity to earn it. Feldkamp Enterprises is proud to have been a part of the team who helped in achieving the first LEED Gold Certification for a Cincinnati Public School (Pleasant Ridge Montessori). We have also helped to achieve 3 other LEED Gold certifications and 32 Leed Silver certifications. Our Green building has become extremely popular over the past several years and is continuing to rise. April Showers, Basement Floods and what you can do about them. Six More Weeks of Winter? No worries!